Away from the beef with Chris Brown, it seems Soula Boy is in alot more trouble. He is now facing a felony for the guns police found in his house during his December arrest. The L.A. County D.A. just slapped him with 2 felonies. First, for possession of an assault weapon and being a felon in possession of a firearm. 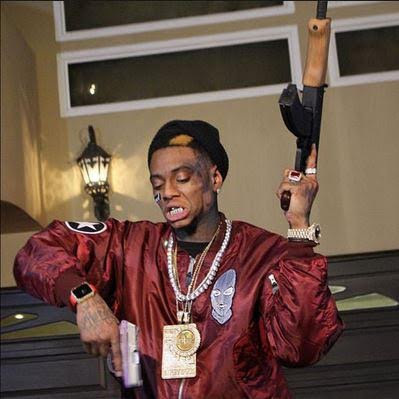 He was also charged with a misdemeanor for receiving stolen property cops say one of the guns in Soulja’s house was reportedly stolen from a cop car. The assault weapon charge is for a Mini Draco AR-15 which is illegal for anyone to possess in California. If convicted Soulja could face more than 4 years in prison, so far he’s pled not guilty and will be back in court next month. Next articleBREAKING: @Atiku’s 2019 Presidential Campaign Posters floods Nigeria.